The Giant Panda - this image was started from a photograph. The students practiced transferring using a grid and then various methods of mixing the paint. 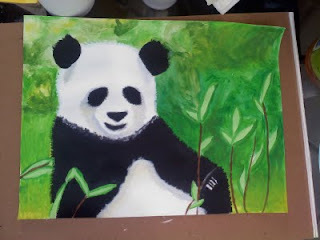 They learned how to vary the colors and apply depth of color to bring the painting to life.